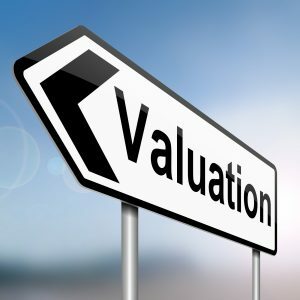 Ways to improve the value and/or saleability of your property. - Castle Surveyors Ltd.
As we all know, property values rise and fall over time and can do so quickly without notice. To help reduce the risk of being adversely affected, albeit it’s worth noting nothing is guaranteed of course, we’ve compiled a list of some things that may help you to improve the equity in your property. Remember the highest price, ceiling price, achieved was previously different than today, as such it can be influenced to a greater or lesser extent by your own actions. Kerb Appeal. First impressions count when selling a property, in particular if the agent’s details have a photo of the front of your house which they should!. So tidy up the front garden, paint/point or otherwise improve the front facing walls and even paint or clean the driveway, you’ll be surprises at the impact such simple measures can have. De-clutter your property and in particular ensure that the house is clean, tidy and smells sweet when potential buyers are visiting. Tidy the gardens and include some garden furniture to brighten up the garden areas and show how the outside space can be used. If it’s quite small, how about painting a wall or other feature with a landscape, this can create the feeling of space where space is limited. Improve outdated features by modernising, albeit bear in mind if it’s a character property then some buyers will pay more for period features. However if removing a disused chimney breast adds more space, then consider such things or opening up rooms for instance can also be a relatively simple solution. Building Regulations should of course be complied with for any structural or such works. Enlarging rooms, such as having an open plan kitchen/lounge is a popular feature at the moment and with the addition of natural lighting, such as a lightwell, can create a very useable and attractive space. If you’re renting the property out as a single let, why not change it to an HMO or micro flats? If you already have an HMO, who is it let to and can you improve the tenants to say professionals who may pay more? Can you change the lending criteria, i.e. to a commercial mortgage based upon income rather than bricks and mortar to release equity? Again Local Authority consents may well be required for such changes. Change the use of a property. Commercial to residential or even vice versa could work and in particular as there is a very favourable Planning regime at the moment and furthermore Stamp Duty Land Tax rules can also be different for mixed use properties, potentially saving money on the dual home tax liability. Add period features back into your property or ensure that those present are in a reasonable condition and look authentic. Lease length can be a major factor in value of leasehold properties, if less than 80 years the marriage value of a flat can increase the extension costs significantly. Always act early and seek professional advice, it can save you thousands! If there’s DIY works been carried out, then change these to make them look professional and ensure that testing certificates can be provided, along with any local authority consents, to give the buyer comfort as to the quality of the works. Convert, convert, convert, whether garage into habitable rooms or loft conversions, such works can significantly add value if done correctly and in compliance with regulations, the opposite can apply if not! Extending a property can add value, but as with any works ensure you have carried out a cost-benefit analysis as sometimes extending doesn’t increase value above the cost of the works, or might even be less than. Illumiate!. Dark rooms don’t improve saleability. If you can’t afford to replace the whole kitchen, then at least spruce up what you have, replacing just the doors and a worktop can have a profound effect. Be a smart Vendor (seller) by using sales techniques and considering the pshcology of potential buyers. For instance, 4ft “double” beds, fresh coffee and aromas in the house all add ambience. Have a viewing plan, i.e. start in a specific place, follow a route and have positive messages to discuss along the way, following which end on a high note at the best place in the property. If you know of major problems don’t try to hide them, be honest and get them sorted, it can save you time and money later should a Surveyor find these and your potential buyers pull out. Honesty is always the best policy! Give the decorations a spruce up just before the sale, cover marks, scratches and light damage during these works. If you have parking spaces available in an area where parking is a problem, then highlight the fact and time the viewings around traffic being lighter! Adding energy saving devices can produce additional income streams and/or savings, being attractive to purchasers. But again remember the installation costs and regulations required. Gone is the outside loo visit, thank God. People’s expectations have changed, as such having an en-suite, cloakroom and/or additional bathrooms can increase the amenity and value. Simply moving a bathroom from the ground floor to the upper floor can be a very attractive change to potential buyers. Technology expectations are changing so move with the times. Having sufficient outlets in good locations, network cables hidden and/or speakers in rooms are all attractive to potential buyers. Is there any development potential? If so do you want to sell it with the property or carve it off and sell/develop separately? BOGOFF is a great way to pay off the mortgage and provide additional funds for your next purchase, worth considering if you’re lucky enough to have the available space! Split the title and/or property. Do you need less space and have a detached property say? Could you split into flats, semi-detached, etc.. and thus create value that didn’t exist before?